We have reviewed Hotspot Shield VPN Free almost three months ago and we quite liked it and gave it a decent score of 71%. However, recent experience with the product has quite dramatically changed our opinion. Unless it’s a bug. What happened? After our review we kept the free version of Hotspot Shield VPN installed on the testing machine. In the last few days, we have noted there is something wrong with the browsing experience. 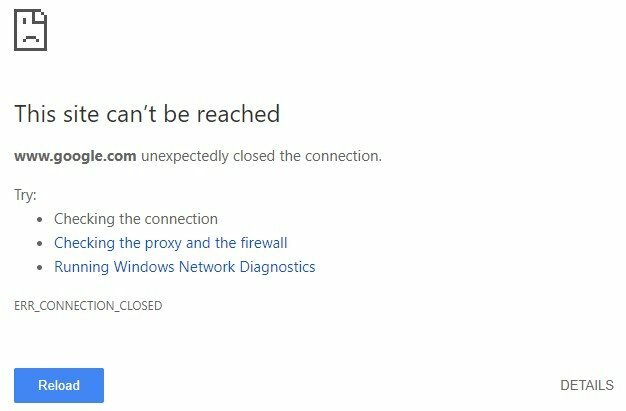 Many times the page in Google Chrome couldn’t be loaded due to “ERR_CONNECTION_CLOSED” error. 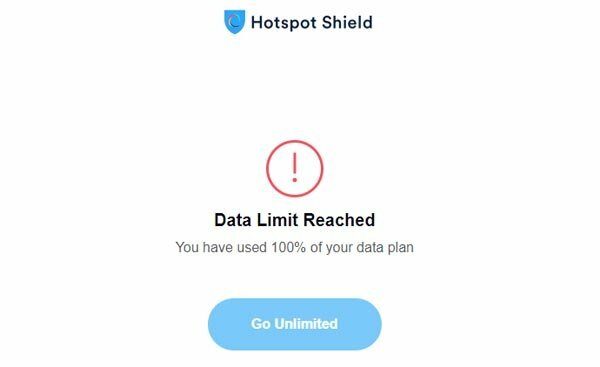 Suddenly the landing page called “Data Limit Reached” “You have used 100% of your data plan” on URL https://hss.hsselite.com/walls/bw/ opened and informed us about the fact that we have reached the available data limit and need to upgrade (and pay) to the Unlimited plan of Hotspot Shield. The problem is, we haven’t turned on the Hotspot Shield app for a few months neither connected to any of its VPN servers. So why it does keep tracking our connection and limiting access to the Internet? The solution is super easy, simply uninstall the app from your system. Immediately after we have uninstalled the app simple refresh of the non-working page made it loading properly. Not sure if it was just some kind of “bug” or shady monetization tactic. We really hope it’s not standard behavior and would love to have a comment from someone from the Hotspot Shield team. UPDATE (August 18, 2018) We have just received a confirmation from the Hotspot Shield team that this bug has been fixed in the last update. If you are still encountering it, make sure you are running the latest version of the Hotspot Shield VPN available.